Our Travelift has a max. capacity of 32 tons. 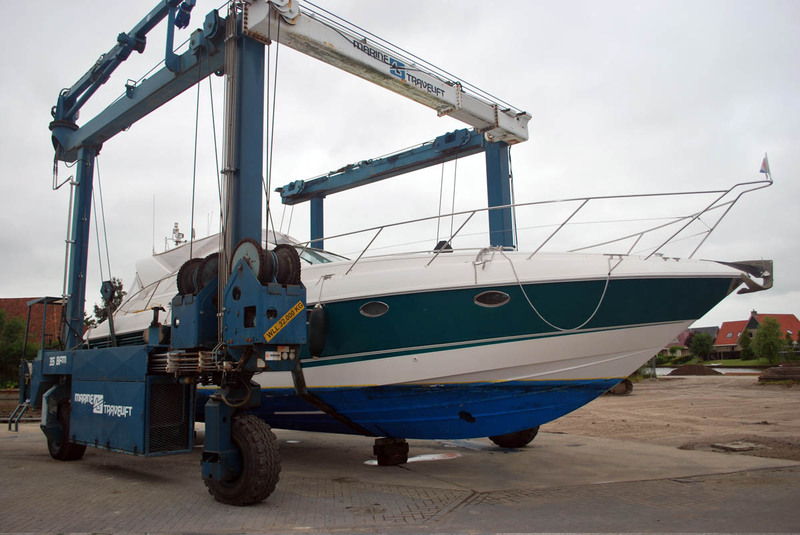 It can crane quite different kinds of vessels out of the water, such as motor boats, motor yachts, sailing yachts, traditional sailor (flatboats) with standing mast too. 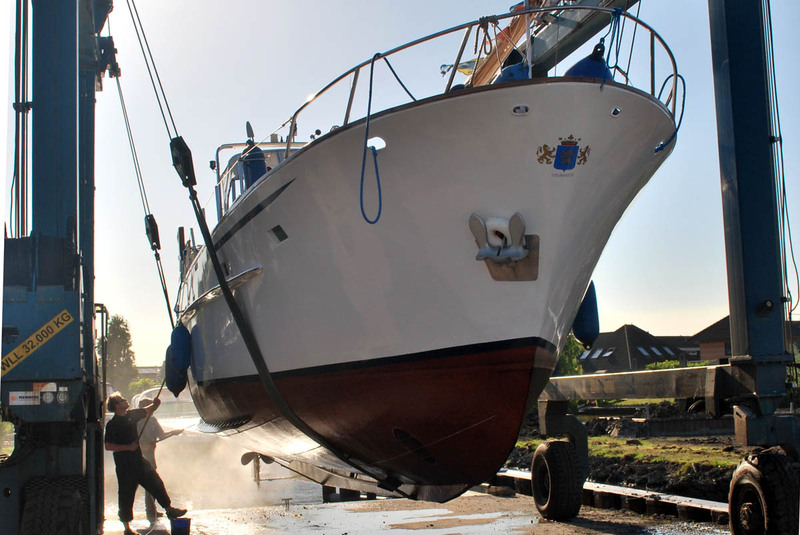 The hull will be cleaned environmentally friendly. 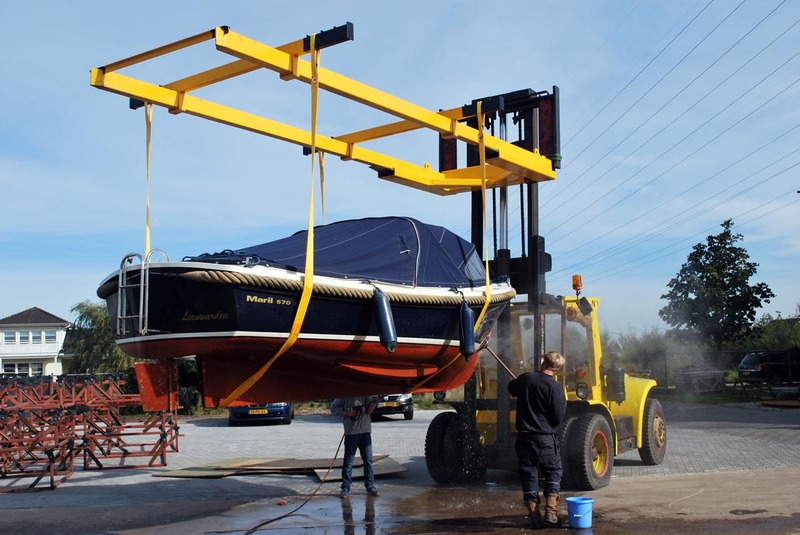 It is possible to transport your boat directly with the travel lift for winter parking space or place it on a trailer, for further transport by road. 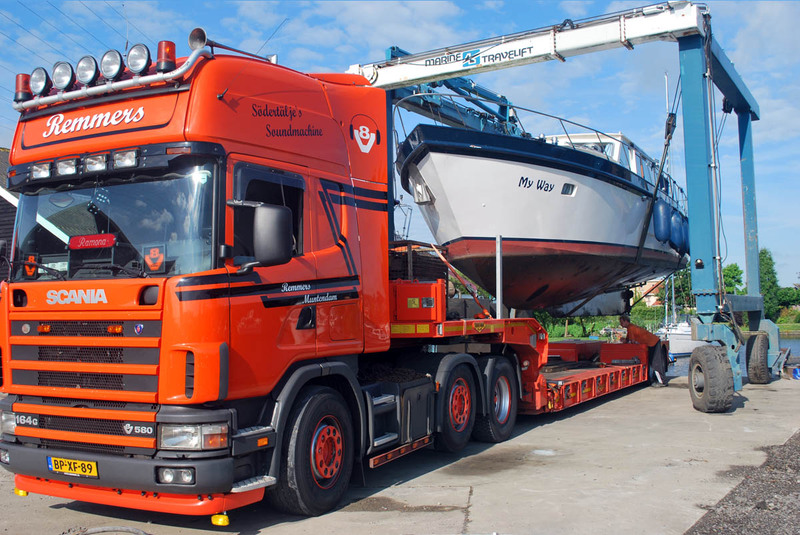 The transport of the vessels in the area is done mainly with the tractor and the specially developed hydraulic trailers. 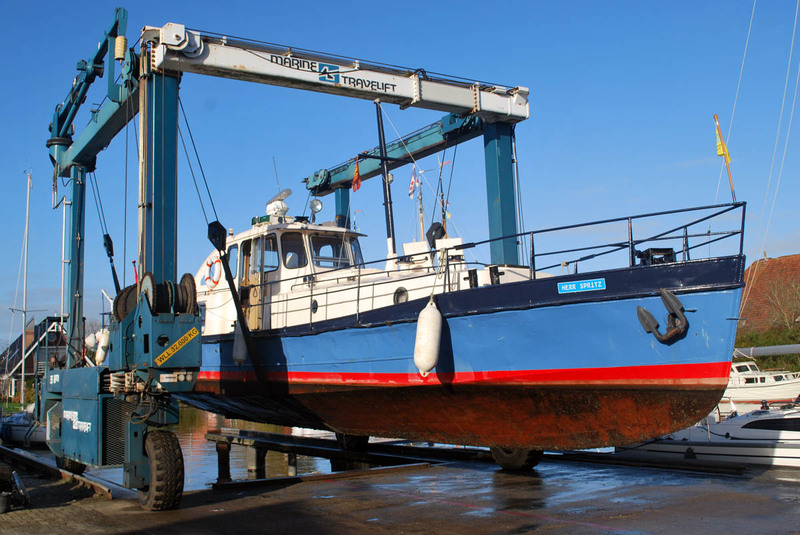 For boats and small fishing boats, we have a smaller crane to rig available. 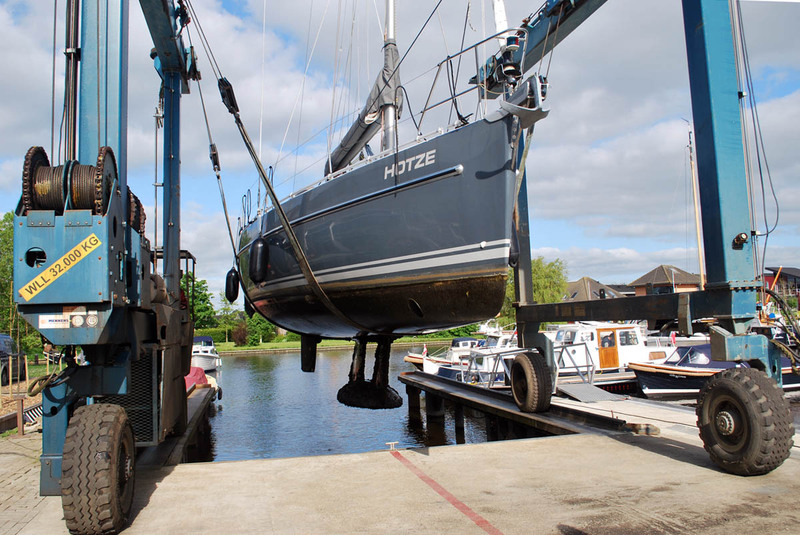 We cranes throughout the year ships out of the water or into the water. 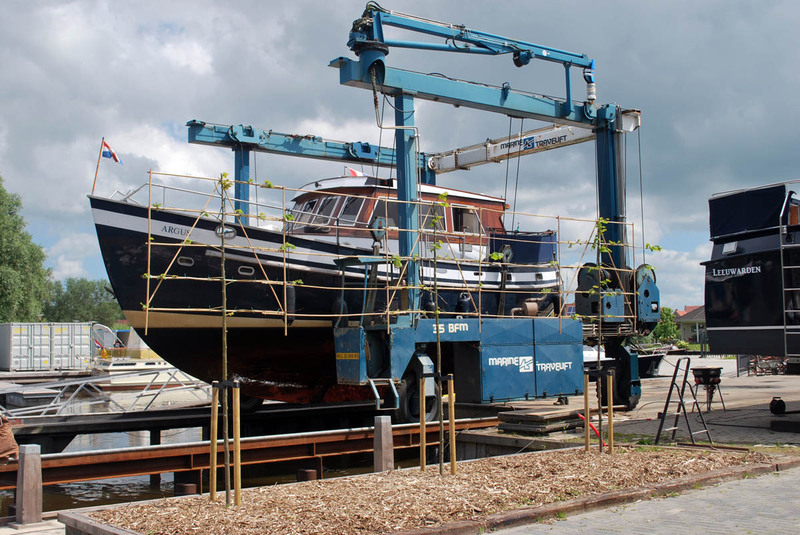 On request, we put the mast of your sailing yacht down. 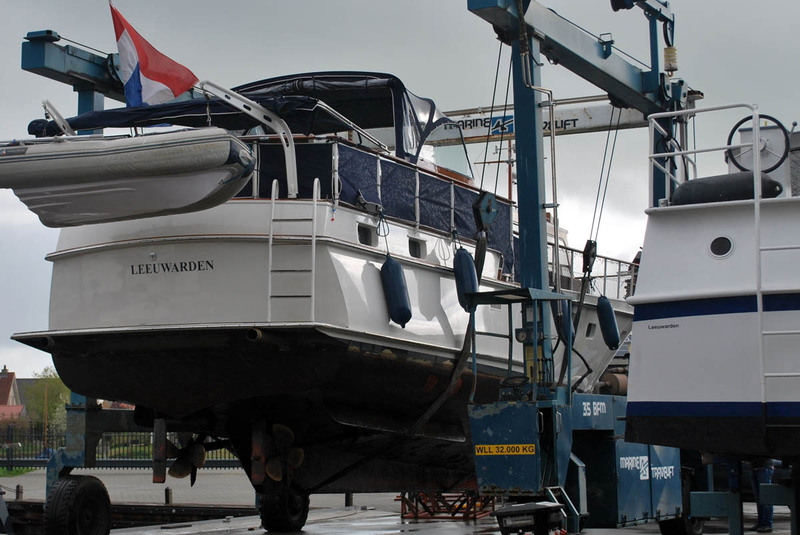 If your boat, your ship has to go out of the water for a short for a quick repair, replacement of the screw or for an expert opinion, this is also possible with us. 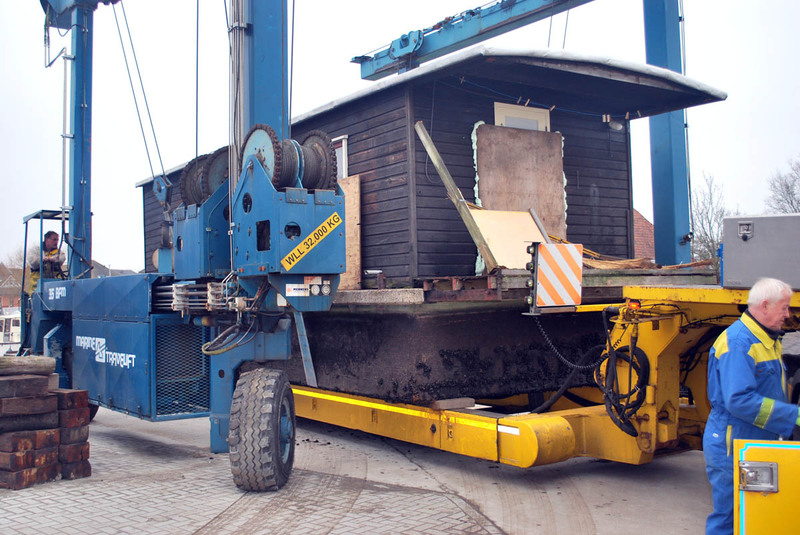 We cranes throughout the year and on consultation sometimes on Saturdays too. 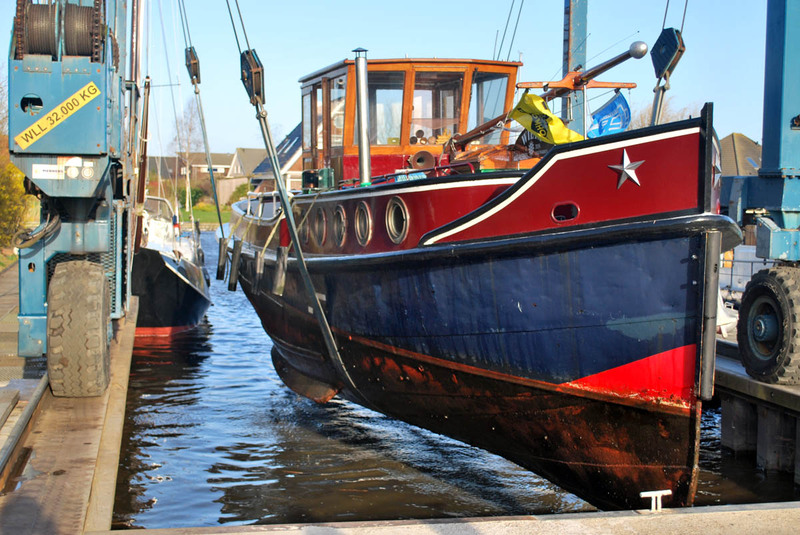 After the complete restoration of the underwater ship these (almost 100 years old) shallop is rotated before the hull can be painted and the boat can given back completely ready to the owner. Upon request we can lay down or put up the ship's mast. 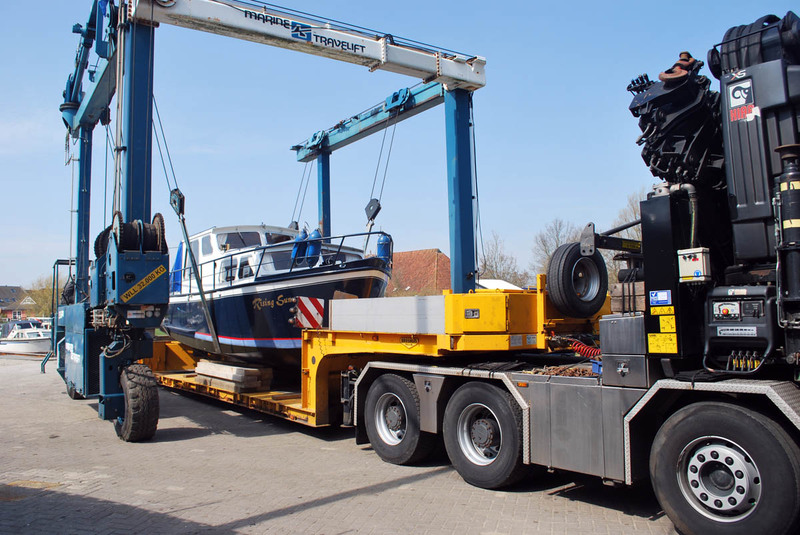 Crane 32 tons with our Travelift max. 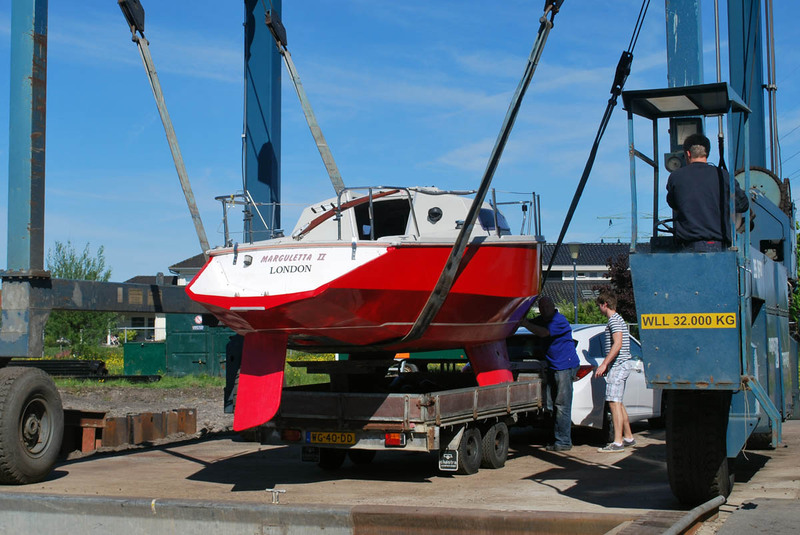 32 tons boats and vessels, a large winter storage for boats (even inside). 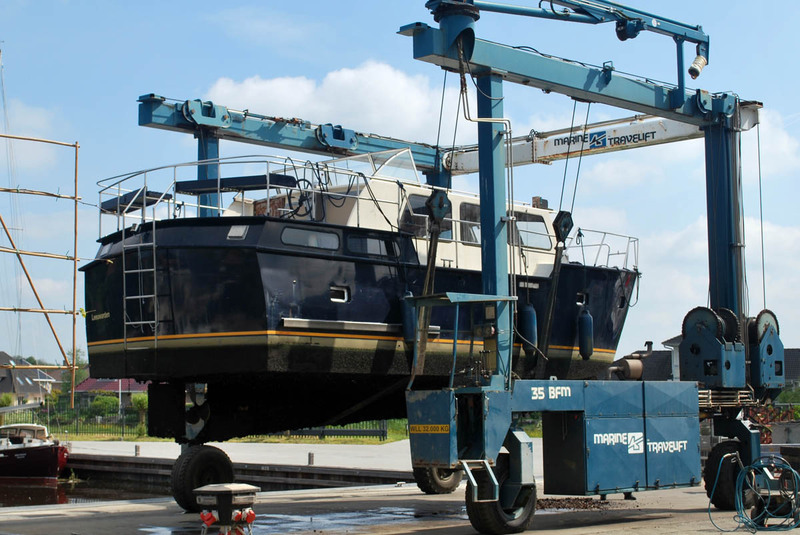 Maintenance hangar, repair, maintenance, servicing, boat parking, cranes, 32-ton crane, paint, colors, technical support, Leeuwarden, Friesland boat storage, winter storage, boat storage, for sale, fishing boat, rowing boat, motor boat, boat, boat storage, sloop, Yachts, Power, Travelift 32 tons, outdoor pitches, free warehouse. 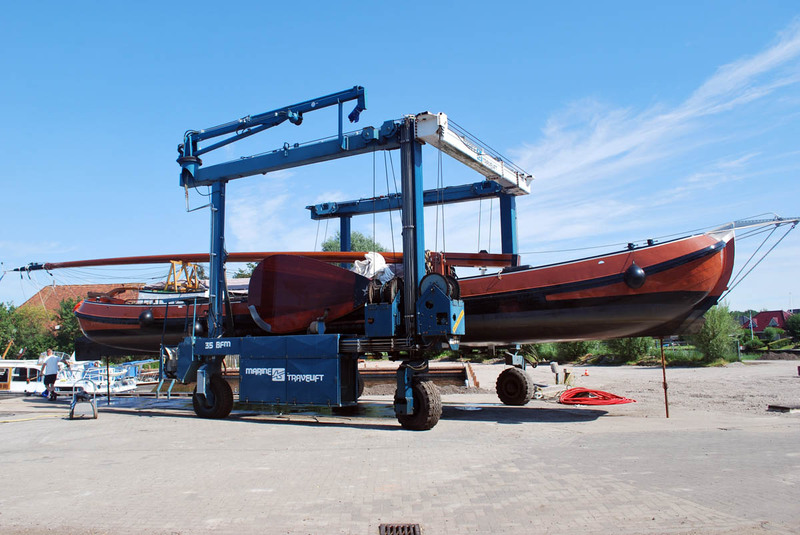 with masts, hall winter Storage, winter, October, inside and outside, boat, winter / outdoor storage, Crane 32 tons with our Travelift max. 32 tons boats and vessels.